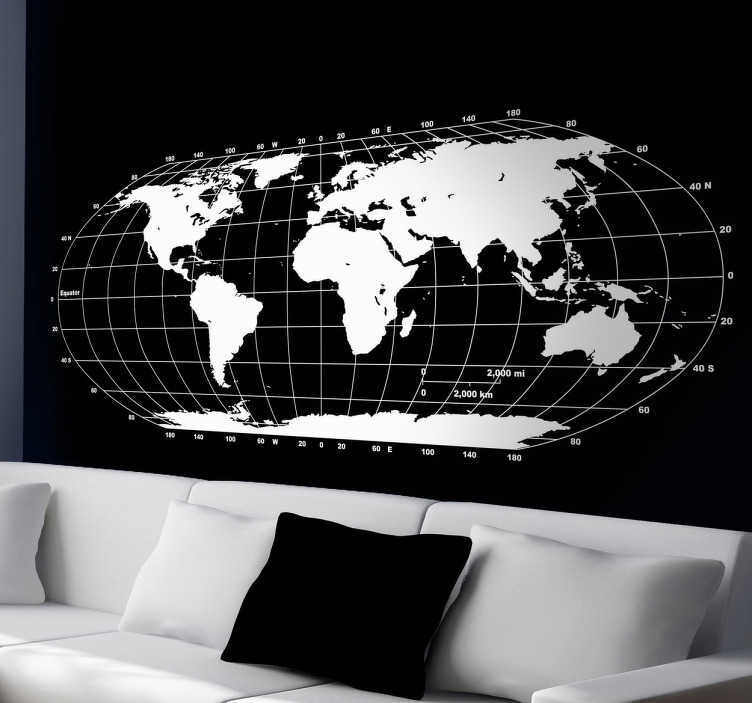 Original wall sticker in monochrome of the world. The real shape of the earth designed by Tenstickers. Superb decorative decal to decorate your home and give your home a touch of elegance! If you love geography or travelling around the world then you are looking at the perfect sticker for you.